I'm hosting a holiday party. How can I make it as stress free as possible? It's your tradition to host Christmas every year or maybe it's your first time. Nonetheless, it is always a stressful time. So much to do to get prepared, so many guests, so little time. Here's 10 tips to ensure you have the best and stress free holiday party hosting experience. We guarantee it! When decorating your space for a holiday party, think outside the "traditional" box. It's not all about wreaths and pine trees and the colors red, green and white - you can mix it up. People make the mistake of using 18,000 colors in one holiday decorated space quickly going from fab to just "tacky". Whatever color palette you choose, try to keep fresh garlands and any holiday inspired foliage. If you're going for the more classic red, green and white, try to stick to it and not add purple or blue. Same goes with the Winter Wonderland look. Make sure every theme you choose has complimentary colors. Nothing is worse than not being prepared. Take it from event designers and planners everywhere, your list is everything and the same goes for holiday parties. The biggest tip is to know your numbers so you have more than enough food, enough gifts (if you plan to exchange) and seating. If there is too much going on for you, don't be ashamed to ask your guests to pitch in -whether it's to bring wine or something simple as to plan the menu, it'll help relieve some of the stress off of you. But be sure to keep everyone up to date on any changes so you are all on the same page. Part of keeping a list is to think of the menu ahead. You don't want to end up with 15 people at your door and none of your food is ready. Plan your menu a month before so that you know how long everything will take to prepare. Thanksgiving meals are the easiest to plan because most of the time, these meals are made by family traditions. But if you don't have any, just poll your guests on what they would like you to serve and narrow it down by taking a close look at your budget. Once you've got your menu, make sure you plan the days you will start to prepare and cook your foods. Wrap all your gifts into one cohesive look. Use the same color scheme as the rest of your home if you plan to have your gifts under the tree as part of your overall decor. Try using the same paper with different color ribbons or the same color scheme papers in different patterns with ribbons in the same color. Whatever way you try, just keep it simple and it will look gorgeous and chic! Holidays are all about traditions but don't get caught up trying to make it exactly like your mom, grandma, auntie did...Just do it your way and start your own tradition that you will pass down to your family. If you'd like to do it their way, get a family member to help you out pulling it all together. Children are inevitable in holiday parties (unless it's a New Year's Party) - so create a play area for them away from the food, the adults, the drinks so they can feel comfortable playing and being themselves. If you have the space, create an area with video games, toys, finger foods, floor seating like bean bags and an area for them to be them. Also, although we love our little "tikes" in ball gowns and suits, bring extra clothes for when its time to go play. Take all the pictures at the start of the party and then let them change out of it. The last thing you want to worry about is if Bella's stocking ran or if Little Billy wet his fantastic and expensive suit. Make sure you have plenty of food and drinks stocked up so you are not running to the store for most of your party. It's better to have more than run out of something. Keep the guest bedroom or extra closet stocked full of holiday things from drinks to snacks and everything in between. Here's a great tip: Have extra gifts too for the unexpected guest or an impromptu gift exchange. Having a large group of people? Instead of setting the table to accommodate everyone, why not try creating a buffet area?! With large parties, people will usually come and go a different times during the duration of the festivitiesKeep it casual. Just remember to create a space easy for guests to get in and out easily so they don't collect or create a mob in that designated area. Bottle up that great jam you've been working on or pack those yummy truffles in a great box that you made last week. How about those holiday decorated cake pops? Give it your own touch by decorating the box or jar with something festive. Need an idea? 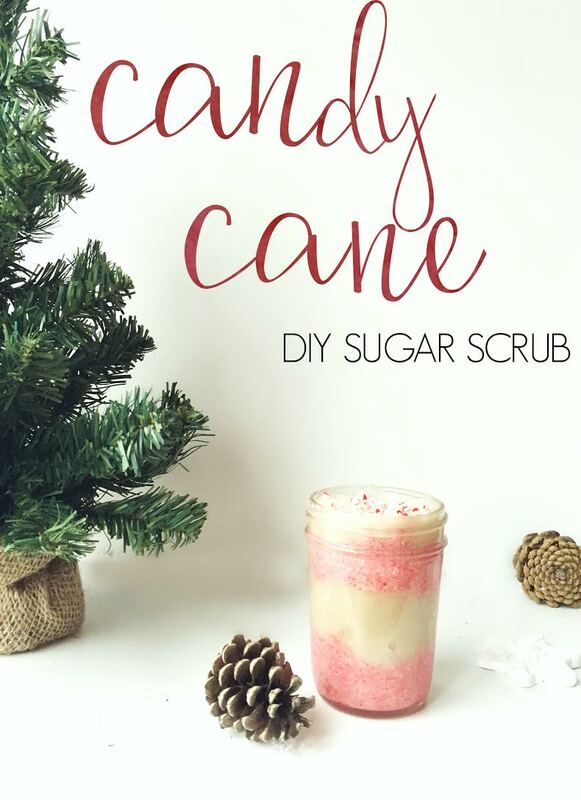 Make these amazing and super easy Candy Cane Sugar Scrub .